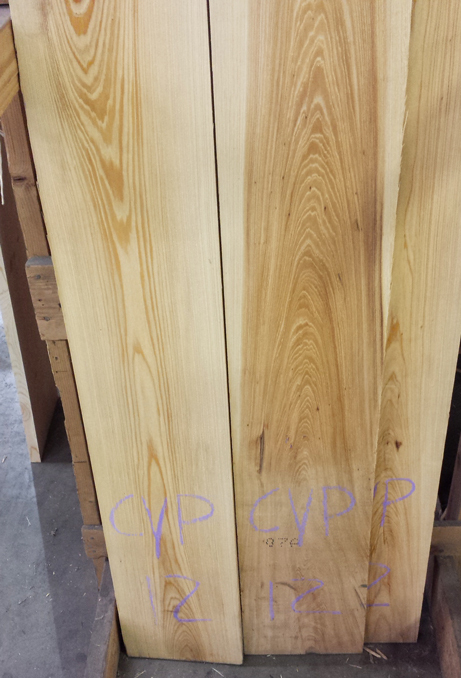 Red Cypress is a great outdoor wood. Its very durable to in regards to decay resistance. This is a good wood for indoor / outdoor furniture, cabinets, trim work for both indoor and outdoors. ​Cypress has no issues with gluing, nailing, or finishing. If you want something harder than cedar, that has similar outdoor characteristics and wont break the bank then Cypress is the way to go. 4/4 Hit and Missed planed to 15/16" thick.